BOISE, Idaho — More than 100 aftershocks have rattled southeastern Idaho since a 5.3 magnitude quake hit near the town of Soda Springs late last week, and experts say they could continue for another week or so. The 5.3 quake hit was the second in the series, and it hit about 6 p.m. Saturday. There were no reports of injuries or damage, though officials say 17,000 people reported feeling the 5.3 quake from as far away as Salt Lake City, Utah. Soda Springs resident JoAnna Ashley was in nearby Georgetown visiting her parents when the biggest earthquake hit. She grabbed onto the shaking refrigerator and watched as a bottle of tiki torch fuel perched on top wobbled toward the edge. Her kids, ages 5 and 8, grabbed onto Ashley during the shaking. "They didn't scream, but were all, 'Momma, what's happening?' in that worried voice," Ashley said. The family spent the rest of the weekend camping, and they eventually started giggling whenever an aftershock would start rocking their camper. "It kind of became commonplace. You'd be sitting there in the chairs, everyone talking, and all of a sudden you'd start to see the water shaking inside the bottle," she said. By noon on Tuesday, more than 102 additional earthquakes had been recorded in the region by the U.S. Geological Survey, all at magnitudes of 4.5 or less. They'll likely taper off by the end of next week, said John Bellini, a geophysicist with the U.S. Geological Survey in Golden, Colorado. "They can go on for days or weeks, and they'll get smaller in size and frequency," Bellini said. Small magnitude earthquake swarms are common near the fault lines scattered throughout central and southeastern Idaho. "Do we expect a larger one? No, we don't," said Bellini, though he noted that forecasting earthquake risk can be difficult. "You don't have earthquakes every day like in California — they're feel-able just a few times a year in Idaho," he said. "It's harder to make generalizations like that in areas that don't have as much seismicity. 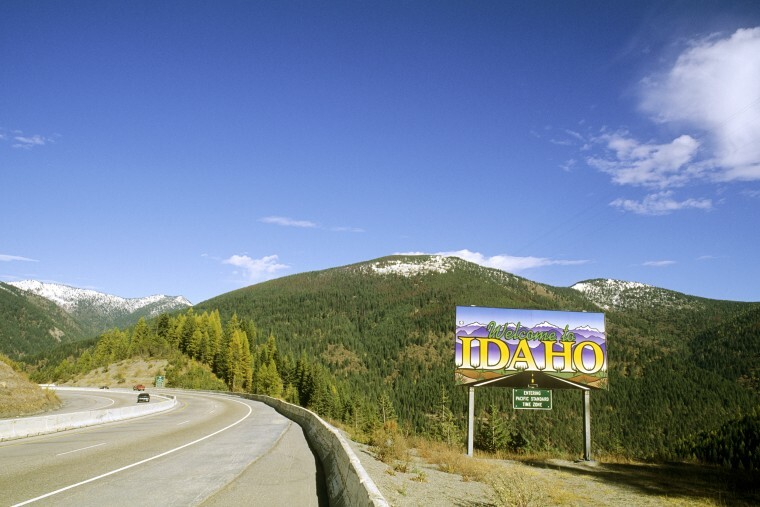 Idaho has had larger earthquakes in the past, but how often they repeat is not known." Idaho's biggest earthquake, a 6.9 temblor, was recorded on Oct. 28, 1983. The small towns of Challis and Mackay rocked for about a minute as the Lost River Fault beneath Borah Peak (Idaho's tallest mountain) pushed upward and the Thousand Springs Valley dropped. Two schoolchildren were killed in that quake when a brick storefront collapsed. Aftershocks continued for more than a year — one reaching a magnitude of 5.8 — and the mountains and neighboring valley shifted nearly 14 feet apart in some places. Ashley has experienced other earthquake swarms in the region, but she said the current one feels unusual because of the magnitude and frequency of the temblors. "This is unprecedented for everybody. But if they say a bigger one is unlikely, then I think we'll all be fine," Ashley said. "The only concern is that we'll get a big enough one to do damage — most of us here don't have earthquake insurance."